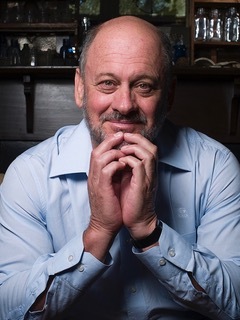 Tim Flannery is the 2007 Australian of the Year. In 2013 he founded, and is chief councillor, of the Australian Climate Council, Australia’s largest and most successful crowdfunded organisation. He is currently Distinguished Visiting Fellow in Climate Change at the Australian Museum, Sydney. Flannery has taught at Harvard University, and has advised governments both in Australia and Canada. In 2007 he established and co-chaired the Copenhagen Climate Council, and in 2011 was appointed Australia’s first Climate Commissioner. He has served on the board of the Prince Albert II Foundation, WWF International and the Australian Wildlife Conservancy, and as an advisor to the National Geographic Society. He has published over 140 peer-reviewed scientific papers and has named 25 living and 50 fossil mammal species. His 32 books include The Future Eaters and The Weather Makers, which has been translated into over 20 languages. He has made numerous documentaries and regularly writes for the New York Review of Books.